Nike Running has dropped off a premium pair of its Free Run+ 3. Here the kicks sport suede and mesh construction, noted via an Obsidian-colored spread. Per usual as of late, a speckled effect has been utilized on the midsole, as orange lining then complements the darker base. 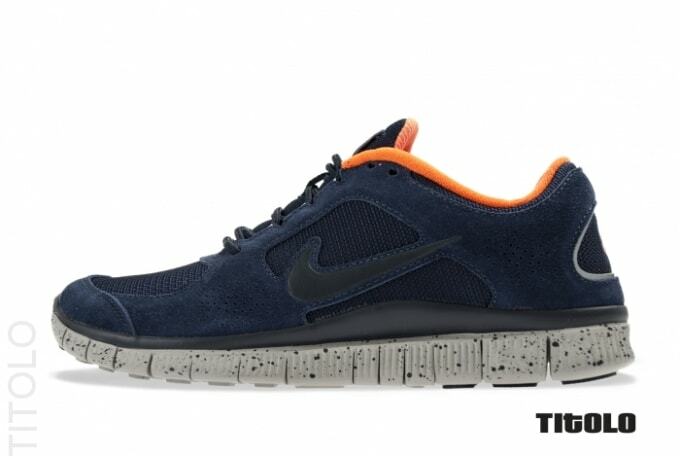 If you&apos;re feeling the new Free Run drop-off, visit Swoosh stockists like Titolo to make them yours today.